Ask the Readers: How do you function with bad credit or no credit? Gina Bean wrote in about her friend's credit situation. Her friend has a car loan with a $936 balance. She doesn't have a credit card — because she only earns $21,000 a year and doesn't want to go into debt. But she's frustrated because she recently checked her credit score and it was 583. She recognizes that the late payment she made on the car loan would bring down her credit score, but she was surprised to learn that it was also lowered because she doesn't have a credit card. Last June, we asked the readers How do you monitor and improve your credit?, but we haven't asked how you can function with bad credit or no credit. And while Gina's friend's credit will improve naturally over time (as long as she continues to make timely payments), she still has to make it to that point somehow because life comes at you whether you have credit or not. First and foremost, Gina's friend needs to put an emergency fund together so she can handle what life throws at her. People find it easier to respond to an emergency if they have a credit card to fall back on; but since that's not the case, she definitely needs to make an emergency fund her first priority. If she hasn't already done so, her friend needs to scale back on her lifestyle wherever she can. Perhaps she can start tracking what she spends so she can get a real look at where her money goes. Another good move in this direction would be to create a budget — but in any event, the more discipline she can bring to her finances, the better. The discipline is important because she needs to start saving for the larger purchases she will need in the future. For example, we have no idea how reliable her car is; but it's a sure bet that she will need to replace it somewhere down the road. If she can arrange her life so that she earns more than she spends, she can start to save money for bigger purchases like a car. If her friend's credit was lowered because she has a limited credit history, she may want to rethink her decision to swear off credit cards in the future. She can search for a secured card that reports the activity to all three credit bureaus every month. That way, she can work to improve her credit without much temptation to go overboard. Most people want good credit so they can purchase big-ticket items — on credit — without having to wait to save up for them. But Gina's friend doesn't seem to fit that description. I think she may have other reasons to be concerned about improving her credit, like reducing her insurance premium or not having to keep funds on deposit with her utility provider. She may even live in a state where her credit could factor into an employment situation. Whatever her reason, improving her credit score is a good goal to work toward. Meanwhile, she needs a way to navigate through life's challenges. Aside from continuing to make timely payments and not making any more purchases, what advice can you offer about how to function with bad credit or no credit? Ask the Readers: How do you monitor and improve your credit? Holly Johnson's post (“The high cost of keeping up with the Joneses”) got me thinking about a number of things this week, but mostly about how people manage their credit. Obviously, if you're intent on keeping up with the Joneses and you're living above your means, that house of cards is going to fall, right? And the reality is that time and good behavior are what it will take to repair your credit after such a train wreck. The first step (obviously, again) is to determine what your credit score is and to track your progress as you address your debt situation. If, on the other hand, you're someone who actively manages their finances and is always looking to improve their financial picture, do you also monitor your credit score to improve it? And if so, what do you do? You can always get your free credit report at the government's official site, annualcreditreport.com, but that isn't your credit score and so it provides rather limited insight into your credit situation. You can pay to get your credit score from one of the bureaus or get it when you're denied credit, but otherwise you're in the dark if something changes. It would be much better to see your credit score on a regular basis so you can determine if your decisions are helping you or hurting you. This becomes even more relevant if you're anticipating a job change, making a large purchase like a home or a car, or even getting married or divorced. Does having a lot of open accounts improve your credit score? Would it be better to close some accounts? Last year we asked, “Is credit monitoring worth the money?” but now some of these services are free. At WisePiggy.com (a sister site of GetRichSlowly.org), for example, they do a soft-pull from TransUnion every 30 days so you can monitor your score anytime; then every 90 days, they analyze your credit report and give you a report card so you can see how specific factors like payment history and credit mix impact your score — all of which is free. The objective is to optimize your credit so you qualify for lower insurance premiums, better loan terms and great credit cards. Not worth it during periods of status quo. In times of simple maintenance of finances, CreditKarma, CreditSesame, and Quizzle, plus your three free full annual reports (one from each bureau) is plenty to monitor for any changes, just make sure you turn on the email alerts. I do all this, plus I do MyFICO $5/mo daily monitoring and quarterly FICO score update. During times of risk, such as preparing credit for applying for a new loan, divorce, or if free monitoring indicates potential identity theft or fraud — then full-on monitoring is worth it. When all is back to status quo, then, drop that expense. It has value, and it is, unfortunately, an exchange of money for something you do not have access to. Lifelock and their competitors are a convienience-fee business. You can do everything they do yourself for free, and their insurance is so tightly actualized that most identity theft successes while locked are not covered. The insurance is virtually worthless, so its all about convenience. How do you manage — and improve — your credit situation? Do you prefer to monitor your credit report and your credit score yourself, or do you prefer a dashboard tool that provides a snapshot and advice on how to improve your score? Do you use a free service or do you pay for monitoring? You see, car insurance is greatly affected by “other” factors than by your choice of vehicle. According to Insurance.com, there are four basic factors insurance companies use to set your rates, and the actual vehicle is only third on that list. Zip Code: Where you live affects your rates, because the frequency of “risk events” varies greatly from neighborhood to neighborhood. These risk events include vandalism, theft of cars and/or contents, and fraudulent claims. Again, these are not Mark Cuban types of assessments; they're conclusions drawn from statistical data. For this reason, it's not uncommon for two identical people living just a few miles apart to have a difference of as much as 50 percent in their auto insurance rates. This guest post is from Daniel Wesley. Daniel is the founder and CEO of CreditLoan.com, a website that educates consumers about various personal finance issues. Among some of the topics discussed are bad credit loans, credit cards, auto financing, and many other credit and financial help issues. Connect with Daniel on Twitter and Google+. A few years ago, I took my grandmother to a wireless provider store to help her get her first cell phone. 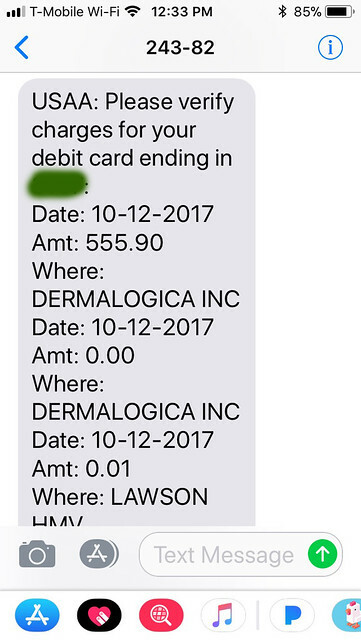 While we filled out the paperwork to set up an account, the store clerk ran a credit check on her, which came back with a rather unsavory number. We were informed that, because of her poor credit, she would be required to put down a $200 deposit, on top of the cost of the monthly contract and the phone purchase, in order to set up an account with their company. That inconvenient encounter at the cell phone store was just another reminder that bad credit does not discriminate; it causes problems for a lot of people — even my sweet, old grandmother — in really unexpected ways. You mean they check my credit? As previously mentioned, your credit score will be a factor in determining what type of contract you qualify for when signing up with a wireless provider. If you have bad credit, you may either be required to put down a large deposit or be rejected altogether. Likewise, cable, satellite and Internet service providers may also require deposits or turn away potential customers with low credit scores. Procuring a home loan with a poor credit score can be extremely difficult. Even if you're able to secure a loan for a house, you'll likely have a considerably higher interest rate on your loan (think 1 to 5.5 percent higher) than those with good credit. If you're looking to rent, your bad credit score can lead to a required cosigner on the lease, a larger security deposit, higher rent rates or denial of the rental application. Also, electric, gas and water companies will check your credit to decide how large a deposit you may be required to put down in order to set up accounts with them. Believe it or not, employers can ask applicants for permission to look at their credit reports as part of the background check in states where it's not prohibited. If the position requires a candidate to work with large amounts of money or access confidential information, employers are more likely to require a credit check as part of the hiring process. 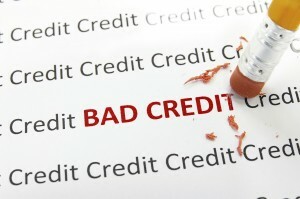 A bad credit report can be a red flag to employers that an applicant lacks financial responsibility. Insurance companies use your credit information to determine the rate of your coverage for property and auto insurance. Bad credit scores can require higher premiums, as well as present fewer opportunities for coverage. Banks check credit histories when you apply to open accounts or get credit or debit cards. They may require you to open an account with a monthly fee, or they may place more restrictions on your account if you have a low credit score. If you have bad credit but your significant other has good credit, your credit score can significantly hamper your ability to jointly take many of the steps married couples intend to, such as buying a house or financing other major purchases. Furthermore, your individual credit scores can have a large impact on divorce settlements. Get your credit report. One of the worst things you can do is not know your credit score, so get a copy right away. Look it over and make sure there aren't any errors. Change your bad spending habits. You absolutely must curb and cut out bad spending habits. Distinguish between what you need and what you can live without. Figure out a way to stop using your credit cards, which only build on your existing debt. Create a budget. Take a look at your income and expenses, and build a budget that's feasible. Make a schedule for paying bills and set up electronic reminders, if necessary, so you don't forget and get slapped with late fees. Repay creditors. Make sure you pay your bills on time every month, in full if possible. If you're paying off a large debt, paying a little more than the required minimum each month is a great way to bring your debt down more quickly and pay less in overall interest charges. However, once you pay your debt off, don't close your credit accounts — that only hurts your credit further. Seek alternative options. When you have bad credit, your interest rates on loans and credit cards are significantly higher, so look into other options, like secured credit cards or bad credit loans. These are manageable options for people with bad credit to create accounts geared toward improving their scores. Bad credit can ruin your day in more ways than you might expect. It can really keep you from living the life you want to live — or, like my grandma, from getting the cell phone you need. By understanding the ways bad credit affects you and taking steps to improve your score, you can get back on track and make sure your credit doesn't turn another good day bad. Could you say no to your mom? Can I borrow your credit card to make a quick purchase? I don't have any cash on me. Mind if I take your car for a quick trip to the grocery store. I don't feel like waiting for the bus. Do you mind co-signing with me on the new house I want to buy? My credit isn't the greatest. Okay, now let's change the situation a bit. Instead of a stranger asking you the questions above, what if it was someone you knew? And not just anyone, someone close. Very close. What would you say then? It might be easier to turn down a friend, but what if was a relative? What if it was a parent? Then what would you say? Could you say “Heck no!”? Could you at least muster a simple “no”? Saying “no” to a parent can be much more difficult. It can feel impossible. I know it did for me. When I started my career, my future was bright. Good job, good credit; things were progressing as planned. My mom's financial situation at the time, however, was a bit different. My mom had good amount of cash from selling at the height of the Los Angeles real estate market in 2004 and used those proceeds to pay cash for her new home in the significantly cheaper Las Vegas market. Timing wise, she couldn't have chose a better time. She could have sit back and enjoyed her retirement years with the excess cash. Instead she wanted in on the real estate boom that was taking over Las Vegas. Unfortunately, there was one small hitch preventing her from doing so: bad credit. A bankruptcy filing years back had ruined my mom's credit, and that made getting approved for any loans impossible. She needed someone to help her out. She needed someone with good credit to co-sign with her. Ask the Readers: Is credit monitoring worth the money? First of all, you are legally entitled to one free credit report per year from each of the main credit reporting companies, Equifax, Experian and TransUnion. You can get them via the government's official site, annualcreditreport.com. If you get one every four months, you are effectively monitoring your own report for free. If one of these actions happens to you when you apply for credit or insurance, the lender is required to tell you what credit score they were using. Everyone should check their credit report regularly. It's a good way to monitor for identity theft and to be sure there is no erroneous information on your report that could impact your credit score. If you do find false information, you can dispute it online with the credit bureau. Whichever credit bureau you file your dispute with must share that information with the other two. As for paying a monthly fee to monitor your credit report, I'm in the camp that says it's not worth your money. However, some personal finance experts believe there are benefits to paying. Lynnette Khalfani-Cox, “The Money Coach,” who writes about credit for AARP.org, is a proponent of credit monitoring. Here are her reasons: Credit monitoring is a credit education tool, it can save you money by helping you raise your credit score, and it can help prevent identity theft or at least alert you to a problem early. Certainly if you know you're going to be applying for a mortgage in the coming year, you should be monitoring your credit in order to boost that score so you get the best mortgage rate. Back to Bryce's original question about freecreditreport.com and other similar outfits: Several years ago, the Federal Trade Commission cracked down on these organizations after consumers complained about being enrolled in a membership program that wasn't clearly disclosed. If you look at the freecreditreport.com website now, you'll see at the top of the page disclosure that explains exactly what you're signing up for. When you order your $3.99 Credit Report and Score here, you will begin your 7-day trial membership in freecreditreport.com. If you don't cancel your membership within the 7-day trial period*, you will be billed $19.99 for each month that you continue your membership. You may cancel your trial membership anytime within the trial period without charge. Other online services, such as CreditSesame.com and CreditKarma.com, are free. CreditSesame.com monitors your credit information from Experian; CreditKarma.com uses TransUnion data. They use this data to create an estimate of your credit score. The scores they provide are not FICO scores, but users say they're pretty close to the FICO three-digit number. So, readers, what do you think of these credit monitoring programs? Are they worth the money? Can you get the same result using a free service? For those who refuse to use loans, are you at all concerned about maintaining a good credit score? Tell us your experience with credit monitoring programs and help Bryce make his decision.